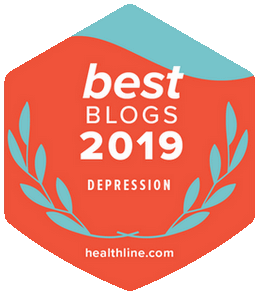 The connection between thyroid disease and the mood and anxiety disorders isn’t breaking news here on chipur. But there’s a new twist to the story you need to know about. Anyone being assessed for a mood or anxiety disorder needs to have a full medical workup. And there are specific culprits that merit primary attention. One of these is the thyroid. Traditionally, only big-time thyroid dysfunction was associated with the presence of mood and anxiety issues. But that’s changed. Perusing nytimes.com, I found an interesting article that reviews the link between psychiatric issues and what are called subclinical (“minor”) thyroid problems. The article features the work of Dr. Russell Joffe, a psychiatrist at the North Shore-Long Island Jewish Health System, and colleagues. Specifically, the work was done with subclinical hypothyroidism (low thyroid hormone output). The team concluded that its treatment may have a profound impact upon the psychiatric symptoms of millions. Not only that, treatment may prevent future cognitive decline. The bottom-line, according to Dr. Joffe? 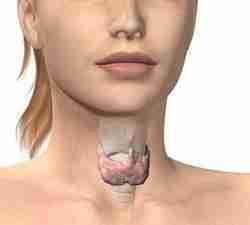 As you may know, the thyroid (located in the throat) is a gland that produces two hormones: thyroxine (T4) and triiodothyronine (T3). And the bodily functions these two hormones are involved with are many and varied. ‘Course, it would only make sense that when something goes wrong and output is altered, unpleasant symptoms present. Hyperthyroidism (excessive thyroid hormone output) may generate anxiety. Hypothyroidism (insufficient thyroid hormone output) may lead to depression. We discussed T4 and T3, but what about thyroid-stimulating hormone (TSH)? Produced in the pituitary gland, TSH regulates thyroid hormone output. “Normal” levels of TSH range from 0.4-5. By the way, the higher the TSH level, the less active the thyroid. Most endocrinologists say a TSH level of 10+ requires treatment. Okay, so now we know that the upper end of normal in terms of TSH levels is 5. And anything 10+ calls for treatment. But that leaves a grey area between 5 and 10, doesn’t it? 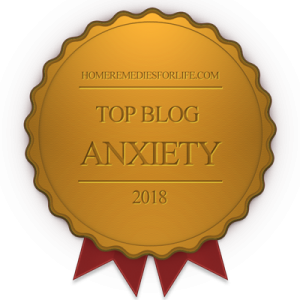 Though controversial, the thought now is that if an individual is experiencing depressive symptoms – and their TSH is in that grey area – perhaps they should be treated for hypothyroidism. His opinion is supported by a 2006 study conducted by a team from Anhui Province, China. Brain scans were used to evaluate patients with subclinical hypothyroidism both before and after treatment. The results showed that tangible improvements in both memory and executive function occurred after six months of levothyroxine therapy. So let’s discuss the grey area controversy I just mentioned. Thyroid hormone treatment can strain the heart and can aggravate osteoporosis in women. But by the same token, not treating existing symptoms, and their underlying cause, can also strain the heart. And some studies suggest ignoring symptoms and cause can up the risk for Alzheimer’s disease and other dementias. Aside from all of that, there’s the matter of the overall sense of misery generated by non-treatment. I believe, along with other medical testing, a thyroid workup is a must for anyone being assessed for a mood or anxiety disorder. Odds are, nothing dysfunctional will be found. But there’s always that small chance. And if issues exist, so much suffering and frustration will be avoided. So why not do the safe thing and touch all diagnostic bases? Something to think about as you address your mood and anxiety woes. More chipur articles on the biology of depression, anxiety, and bipolar disorder? Tap here. Would you like to see a listing of chipur Feelin’ Better articles? Right here.